Traveling in the Philippines is inexpensive to begin with, so additional savings feel like the icing on the cake. Some of the following tips will help you save quite a bit all at once, while others will add savings when used over time. Whichever strategies you try, you’re sure to spend less while enjoying an unforgettable trip to the Philippines. Group buying sites offer deals on everything from flights to hotel stays, and it’s often possible to find great bargains on fun activities. 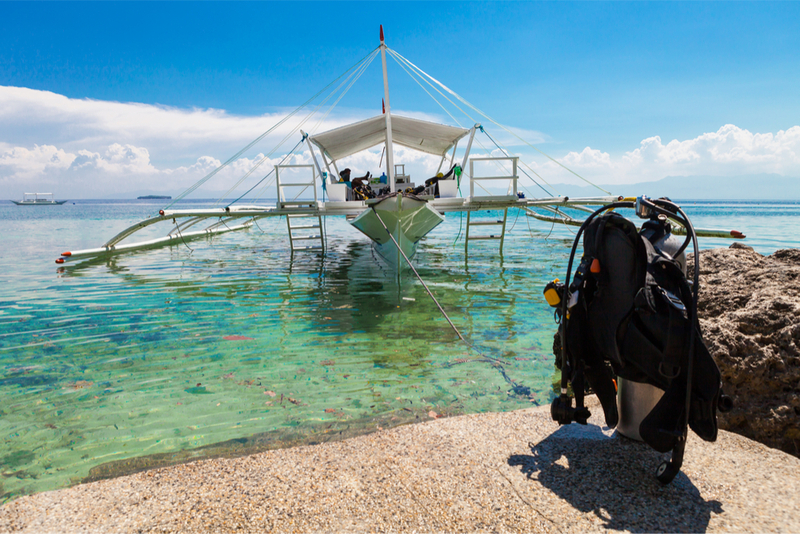 Whether you’re looking for a relaxing massage, scuba diving instruction or dive trips, sailing, or a guided tour, it’s likely that you can find savings if you spend a little bit of time digging. Groupon is a great place to begin your search: The site offers hundreds of deals on hotels and accommodations worldwide, plus tours and airfare packages designed to help travelers save. Note that Philippines travel deals might not be available on a daily basis, and when availability pops up, the number of trips and/or deals available will be limited. This strategy takes some time and patience to implement, but it can help you save an impressive amount of money. If you’d rather not spend time waiting for a good group deal to pop up, then save both time and money by booking your stay with a site that specializes in hotel deals. Be sure to spend a little time comparing deals and reading reviews to determine what’s likely to suit you best. When choosing a hotel, see if any meals are included. Hotel food tends to be tasty in the Philippines, and eating items that come with your stay will help you stretch your dining budget. If you are interested in meeting locals and you’re not really into resorts, then you may want to consider an alternative to traditional hotel / resort stays. Both Couchsurfing and Airbnb have thousands of registered users in the Philippines, and both sites allow travelers to provide detailed reviews for others to read. As an added bonus, staying with a private party will often give you access to kitchen facilities, making it easier to save money on meals and beverages. Things like burgers and pasta are fine for enjoying while you’re home, but they’re among the pricier menu items at restaurants in the Philippines. Why not try some local foods? 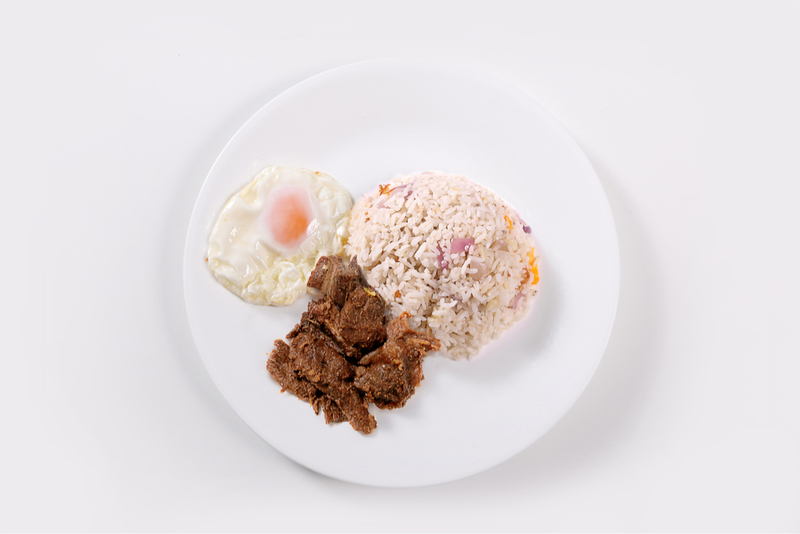 Wonderful seafood, tropical smoothies, and other delights like Adobo, Tapsilog (see picture below), and Tocilog are abundant and inexpensive. Restaurant meals range from ultra-cheap to expensive, so consider eating where the locals do. If you’re not sure what to try, ask someone! Filipino people are generally friendly, outgoing, and eager to help visitors enjoy themselves. Communicating should prove easy – about 90% of the population speaks English. There’s no shortage of free Wi-Fi in the Philippines, so take advantage of it as often as you can. In addition to using the internet for all the usual things, you can use it for international calling. Besides calling the Philippines during your travel planning phase, free apps like Viber Out work together with Wi-Fi, allowing you to stay in touch with people at home or at destinations you’ll be visiting later. This strategy lets you use your mobile even when you’re out of your carrier’s range, and it eliminates the need to purchase a pricey SIM card. Those visiting the Philippines for a romantic getaway might want to keep to themselves. If you’re looking for fun and you don’t mind mingling with fellow travelers though, you may want to give group tours a try. Your savings will depend on the activity as well as how many others are along for the ride, but you’ll always spend less than full price. Whether you’re looking for a land-based bus tour or an over-the-water island hop, you can usually split the cost with others. Besides avoiding travel during the Christmas, New Year, and Easter holidays, traveling during the “low” season is a great strategy for saving. Lonely Planet estimates that hotel stays cost an average of 20 to 40 percent less than usual during the months of June through September. Do be aware that there’s the possibility for rough seas and lots of rain during these months – as well as the potential for beautiful weather. Every Touists have his own budget . These tips are good for all. Thanks. Great idea!! This post is really amazing and yes every tourists have his own travel budget. Thanks for sharing a great information. I like it.